Did any of these people actually read the work and can anyone tell me where a mistake was made? Now the details. I can't help being disgusted by the "many world" interpretation, or the Bohm - deBroglie "pilot waves", and even the idea that the quantum world must be non-local is difficult to buy. I want to know what is really going on, and in order to try to get some ideas, I construct some models with various degrees of sophistication. He believes in determinism, and even superdeterminism, but not quantum computers. His view is in the minority. I am inclined to agree with him about many worlds, pilot waves, locality, and quantum computers. Much like with Godwin’s Law, “superdeterminism” strikes me as the sort of thing that you resort to after you realize you’ve lost an argument. With these universe-as-magician rules, I agree that you can “explain” any conceivable scientific discovery. But precisely because of that flexibility, I’d say your victory is a hollow one, devoid of explanatory value. Of course Aaron also supports many-worlds and quantum computers. He conceded that quantum computers have not been demonstrated, but says that the burden of proof is on the skeptics to prove that they are impossible. That's funny. If a regular non-Nobel laureate scientist would have posted that there, it would have been closed as argumentative. At least that's my experience with other stack exchanges. I think the best way to understand QM is to watch it backwards in time. Then it's deterministic. It's only probabilistic when viewed forward in time. It's just like Thermodynamics. It's a probabilistic theory describing deterministic actions. 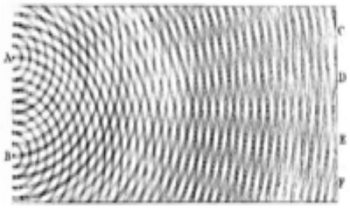 The main feature of QM is the wave structure of matter, which makes it different than classical mechanics, not its probability aspect. You make some excellent comments. Yes, a theory can be probabilistic while the underlying physics is deterministic. Thank you. I didn't figure this out on my own. I learned this from reading Victor Stenger's writings. He explains this all in detail. If you want to understand quantum mechanics in a "nonmagical" way, he's one of the best writers. He's one of these atheist skeptics or debunkers, who puts religion in the same category as magic and witchcraft. While I certainly don't endorse Victor Stenger on this, he's right on the money with his explanations of modern physics. 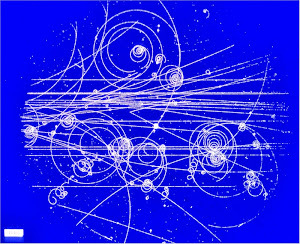 Of course, there is room for many different types of interpretations of QM, as long as it's consistent with experiment. They can all be right. Just pick the one you are most comfortable with. Stenger goes too far with that argument. He is against free will and against causality. I cannot agree with that. Why don't you agree with Stenger in being against free will and causality? Wait, how can you be against free will AND causality. Isn't cause and effect the usual argument against free will? Also, the view that quantum mechanics is deterministic and its probabilistic aspect is only because of the 2nd law of thermodynamics would explain why quantum computing can't work in the real world. Free will and causality are so thoroughly ingrained that it would take some strong evidence to convince me otherwise. I don't see any evidence at all against these concepts. I am not sure it is even possible to have an experiment that disproves free will. "Everything is foreseen, yet free will is given."